Has anyone disassembled the in tunnel fuel filter? Has anyone found anything of significance? I disassembled at about 500 hours and found 1-2 grains of carbon. I do at every other condition inspection. � I�ve yet to find any debris in the screen. I have never found anything in the tunnel filter in 1340 hrs. I do a flow test every annual. Much easier than getting at the filter to remove it. 1100 hours and it’s always clean as can be. I’m going to incorporate Gary’s plan and do a fuel flow test instead of pulling the filter every year. I’m always concerned that I’ll ding up a fitting and wind up with a leaking fuel line in the tunnel. What flow are you looking for when you flow test? That is a very sound idea. In 12 ACIs on my bird, I have found zero - repeat zero - particulates in the filter. But tearing open the tunnel to remove the filter creates lots of potential problems……. After thinking about fuel flow, I have multiple checks per flight. FF at takeoff should be 23-25 gph with normal CHT and EGT. Normal LOP FF should be about 9-10 gph at about 60%; hence the health of the filter is implied each flight. If the boost pump is left ON, the LOP FF will be about 9-10 gph but the engine may be rough or abnormal CHT or EGT. I’ve never found anything and my fuel consumed is significantly Mexican. It seems a little redundant along with the other filters that the fuel goes through from refinery to throttle. I also worry about creating ancillary problems trying to overly cautious. I think it’s important to do a new build often and early for construction FOD, but not as often in a proven system. I’ would think you could drop a marble into the filter tube itself and not noticeably change the fuel flow indication. Most blockages I’ve heard of came from improper use of Teflon tape. Most blockages I’ve heard of came from improper use of Teflon tape. Plane lives in a hanger and flies off of a paved runway. Sorry, I don't have any after photos. > Most blockages I’ve heard of came from improper use of Teflon tape. must have had contamination in the fuel tanks to begin with. 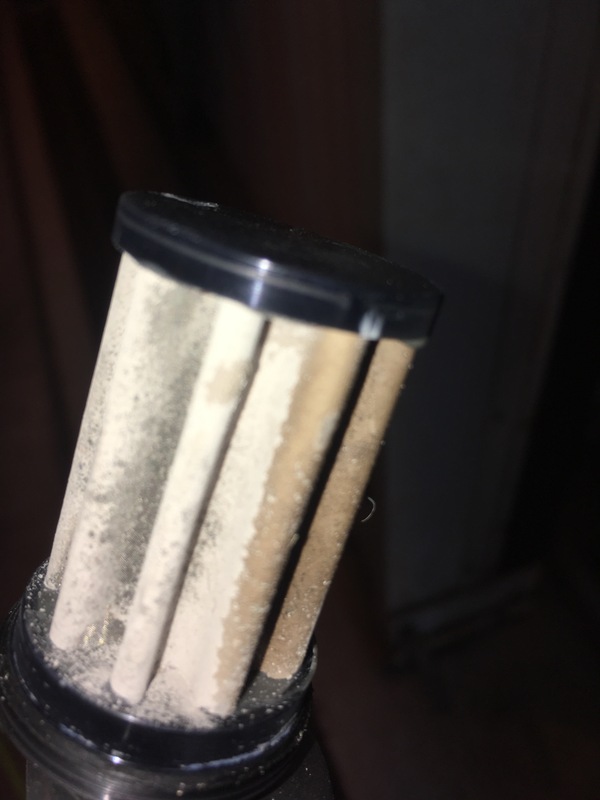 I this points out that the first couple condition inspections should have a check of this filter. After that, base interval on previous results. I don't think it is a good idea to go much past 100 hours before first inspection of the fuel filter, because of likely fuel sealant or other contamination bits coming out.